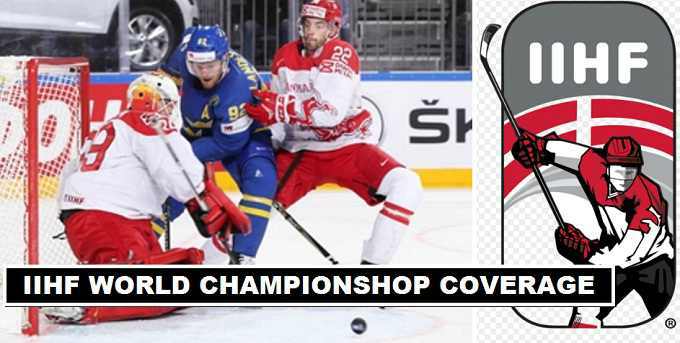 The next ICE hockey world championship taking place in Denmark. The two venues where all matches of ICE Hockey will be played. Sweden, USA, Switzerland, Finland and Denmark are among top qualified teams of the tournament. The first match schedule on 4th May. The final match played on 20th May. Where to watch the IIHF World Championship TV Coverage. In Denmark the official rights of the television coverage belongs to (TV 2). Butso far there is no announcement about the officials about more channels telecast the matches in Denmark. In Pan-Europe (Eurosports) have rights to broadcast the matches. IIHF world championship United Kingdom and Ireland all IIHF hockey matches broadcast on tv channel (Premier Sports). NBCSN show all matches telecast and NHL Network show the coverage of the USA team matches. In Canada, matches can be watch on (TSN and RDS) channels.